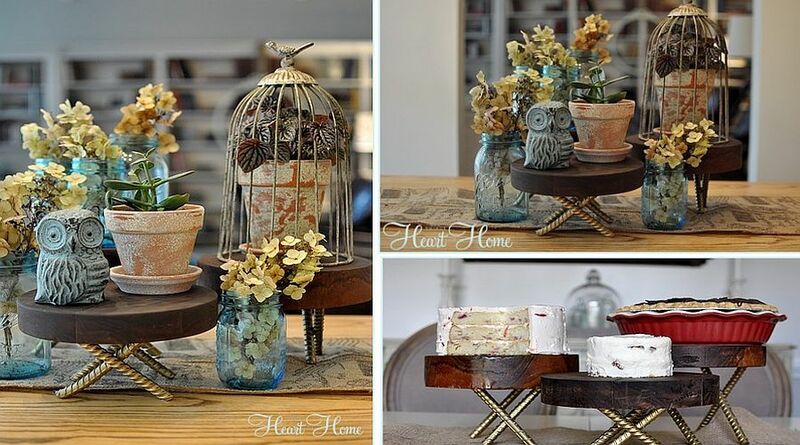 Thinking about adding a dash of natural goodness to your home? 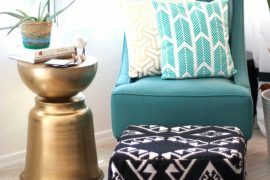 Indoor plants are the top choice and the easiest way to do it for pretty much all of us. 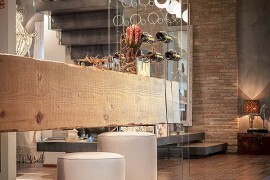 Then there is the fabulous living wall at its brilliant best; if you have the time or the dough to go down that path. But for those looking to give their modern home a rustic, accent piece, décor made from tree stumps is a great choice. 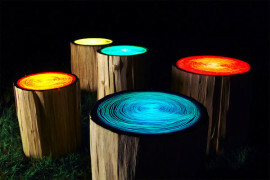 And before anyone gets the wrong idea, NO, no one is chopping down trees in a rainforest to get these gorgeous stumps. 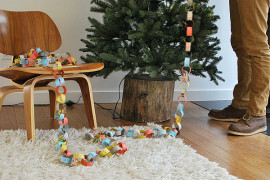 In fact, most of them simply go down a wood chipper, if not put to better use! 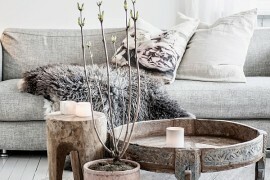 Tree stump décor has an aura that is both rustic and modern at the same time. 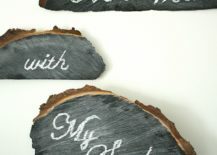 Each piece is obviously unique and you can take this idea of exclusivity to a whole new level with a stunning DIY tree stump décor piece. 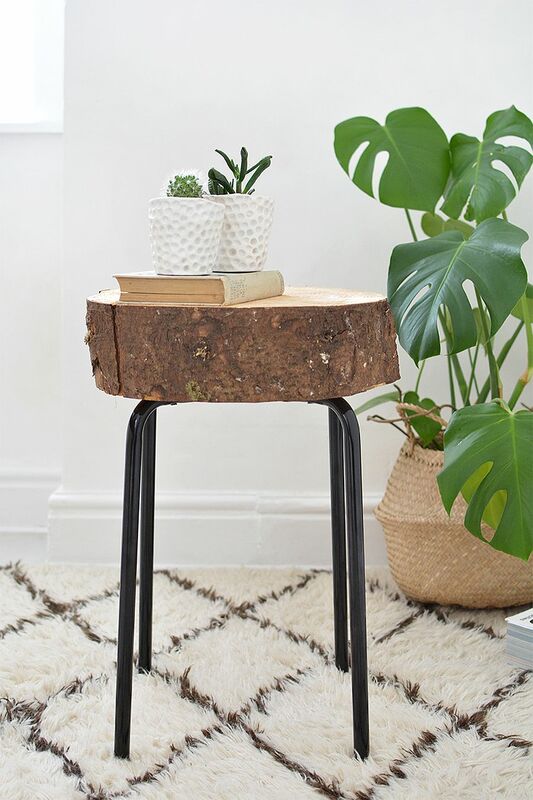 Once you can find that beautiful tree stump you adore, everything else is both easy and affordable. 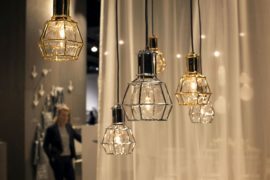 The 11 awesome ideas we have lined up for you today are all great for beginners and you will love the homemade delight at the end of it all. 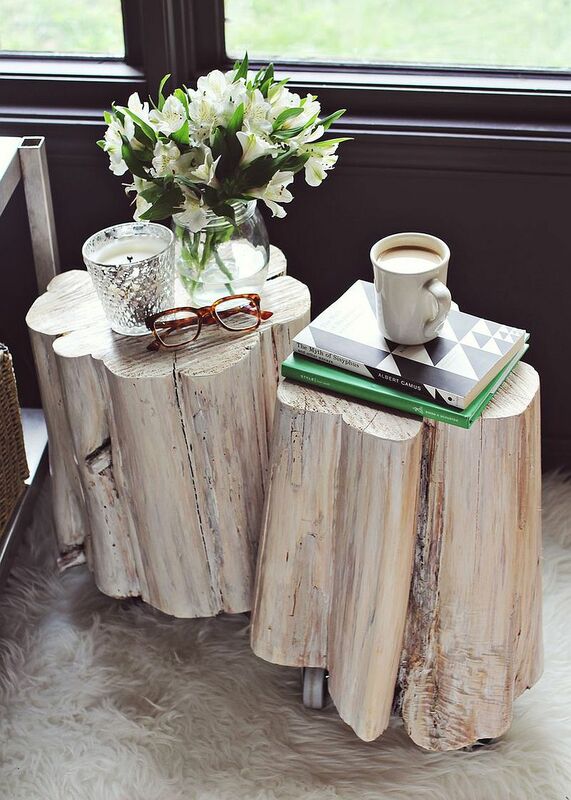 The most sought-after furniture pieces in the tree stump sections are coffee tables and side tables. 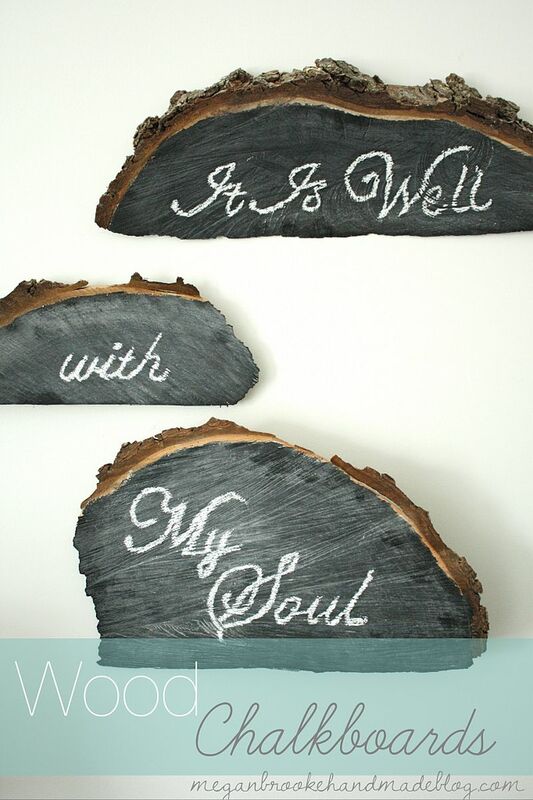 Of course, you need not buy one by spending a fortune and crafting one on your own is easier than it seems. 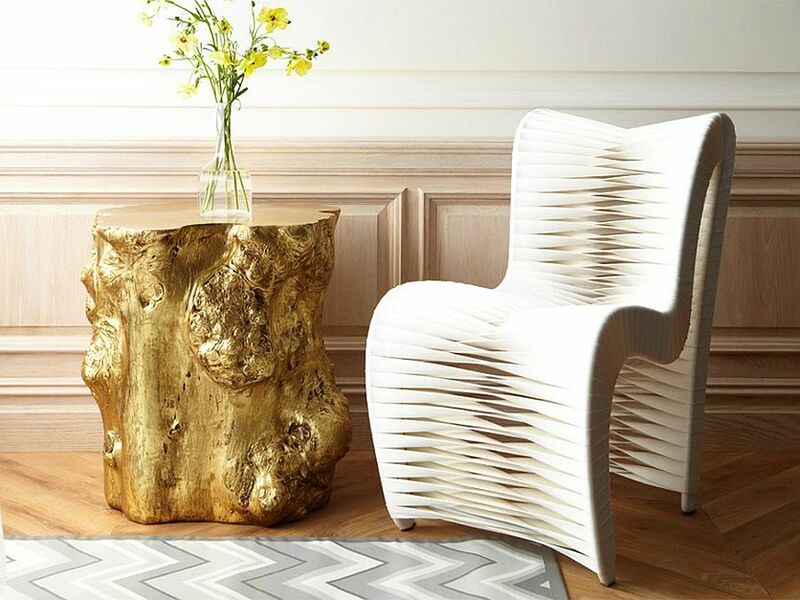 A good starting point here is choosing the style of the legs and the size of the chic table. As a rule, DIY tree stump coffee tables are a touch larger than those used as side tables. They also demand ‘more wood’ and you can even turn a large, solid tree stump instead of a sliced section into the coffee table. 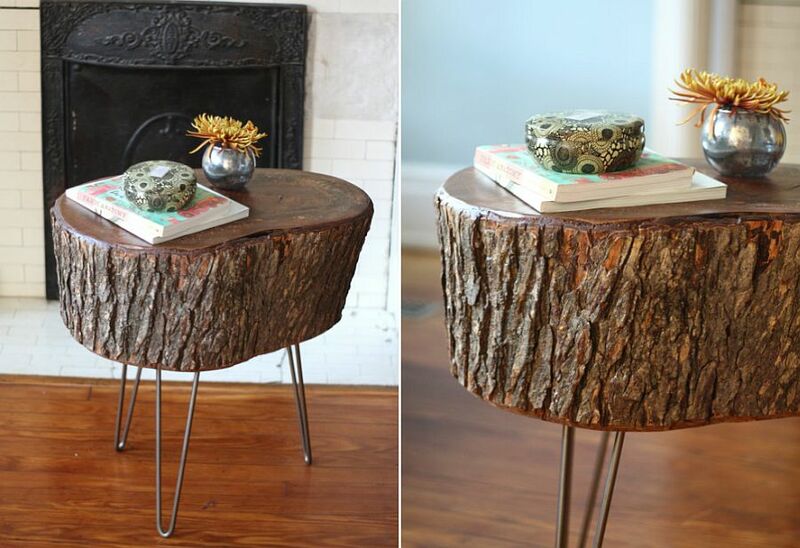 With the side tables, it is all about the slim legs and the finish of the tree stump slice. 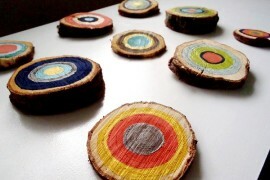 Tree Stump DIYs for the Fall Table! 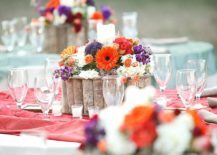 It is definitely that time of the year when you starting to plan for family dinners and feasts with friends and loved ones. 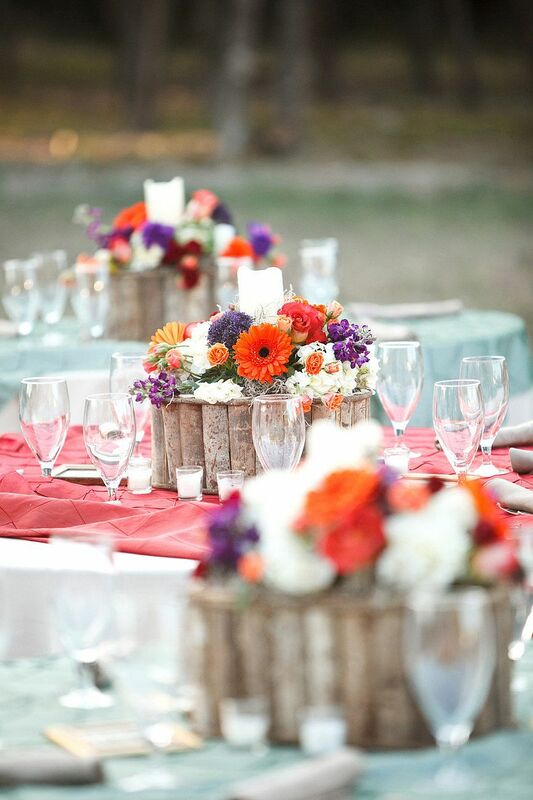 Well, a slice of the tree stump can bring plenty of rustic charm to the fall table and does so without seeming out of place in both indoor and outdoor tablescapes. 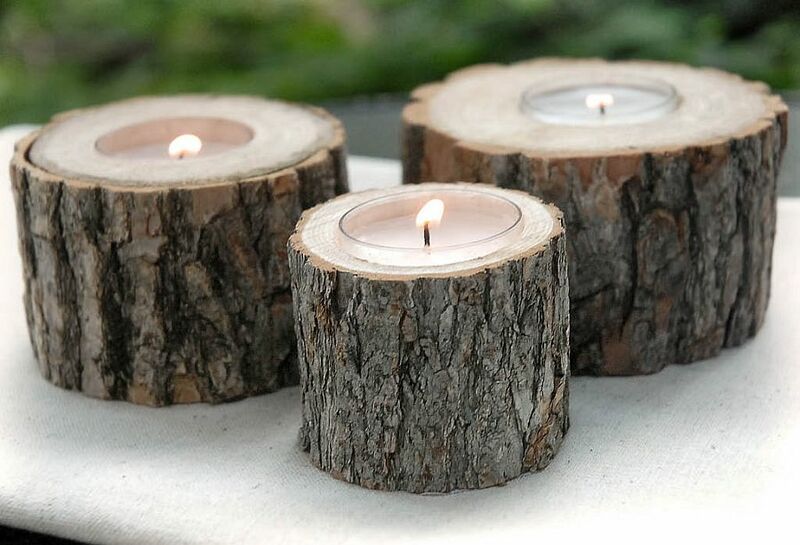 A cool centerpiece crafted using a bunch of branches or even tree stump slices and decorated with flowers is a showstopper that turns heads while tree trunk candle holders are eternally popular. 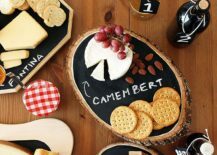 Those with something more to say can try out the uber-cool DIY chalkboard trays crafted from tree stumps while All things Heart & Home show you how to craft a small wood pedestal with panache! 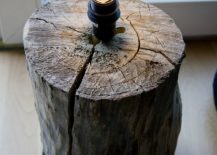 It is all about finding projects that help integrate the tree stump seamlessly into their design without actually taking too much of your time. 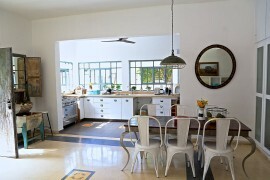 Bored with the usual? 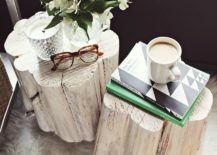 Then it is time to take your tree stump crafting to a whole new level with the super-stylish DIY wood clock that we completely love. 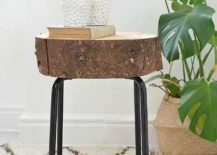 This woodsy clock still feel modern, minimal and exclusive and takes no more than a few hours spread over a weekend to craft. 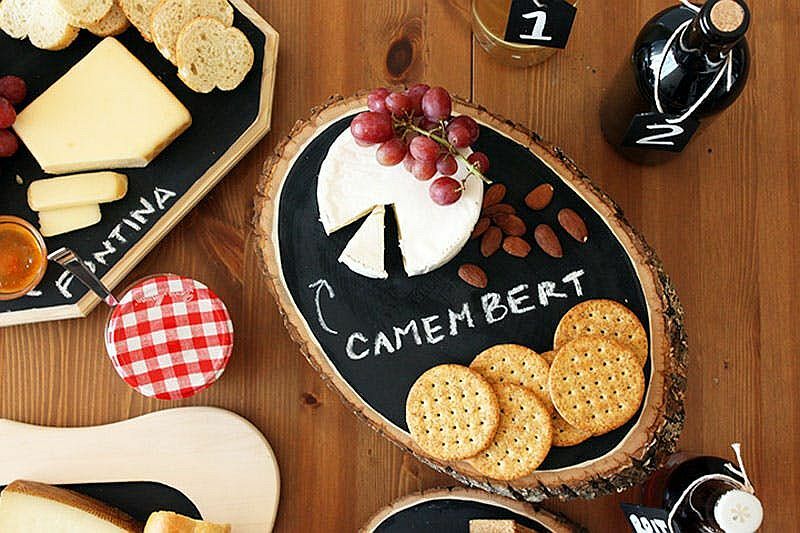 DIY wood chalkboards are another striking and practical addition that should elevate the rustic panache of your kitchen, bedroom ore even dining space without ever trying too hard. 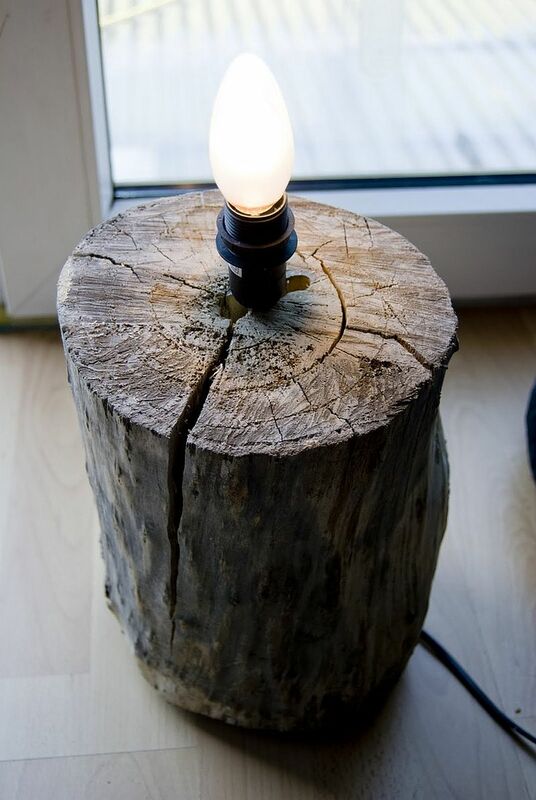 Finally, there is stunning DIY tree stump Lamp – an idea for those who really love their DIYs and wouldn’t mind spending a few extra hours in the woodshop or garage.